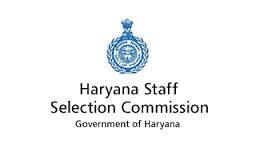 HSSC Jobs Recruitment Notification 2019.Haryana Staff Selection Commission (HSSC) inviting applications for the positions of Canal Patwari & Gram Sachiv.Interested and Eligible candidates can apply for the positions. Last Date for Submission of Application is on March 21st, 2019. The number of incumbents HSSC is going to hire through the above notification are 1327. For category wise vacancies applicants may refer the official pdf.